our second floor indoor track overlooks the basketball court. Build your endurance and boost your aerobic capacity with the indoor running track at our gym in Midlothian. Weather won't matter as you walk, run, or jog your way around the second floor track. Avoid the heat of summer and the cold of winter; enjoy a temperature-controlled cardio workout for improved fat/calorie burn and muscle toning. 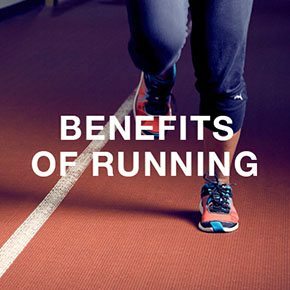 Running is a great cardio workout that boosts metabolism, strengthens and tones muscles, and improves your heart health. Running also adds variety to a cardio workout typically done on machines like treadmills, rowers, and stair climbers. A short jog around the track can also be a great way to warm-up or cool down. Change it up and challenge yourself by adding running to your routine. 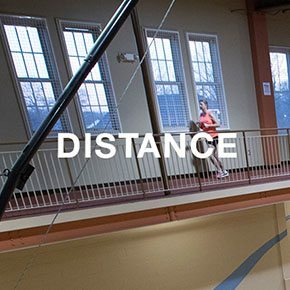 On the second floor overlooking the basketball court, the indoor track at American Family Fitness in Midlothian offers a comfortable place to run in a temperature-controlled environment. Sixteen times around the track equals one mile. If you're new to working out, you can walk or jog at your own pace and slowly improve your speed and stamina. The indoor track at our Midlothian gym offers runners, joggers, and walkers the chance to train inside and out of the sun, wind, and rain. 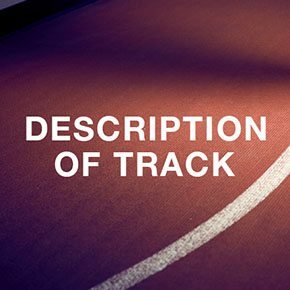 The track is easier on knees and joints than hard pavement, and distances are clearly marked so you can keep track of your mileage. It's as great a place to train for track and field as it is for low-impact walking at a slower pace.